Basics Part 1 of 5. Blogging is incredibly worthwhile because it allows you to create your own brand. You can learn and perfect highly marketable skills and begin to see yourself as an entrepreneur. Over time, you will find yourself supporting and being supported by a unique community of writers and other artists, like you. In the past four years since I started, blogging has also helped me clarify my personal and professional goals. It’s challenged me to intentionally learn something new every day. I’ve become more intentional about finding ways to generate passive income. But these aren’t things that I knew—or even things that I cared about—before I started blogging. Blogger Amy Lynn Andrews has estimated that bloggers can make around 1% of their pageviews per month. Hypothetically, if you reach 30,000 monthly pageviews, this would translate into about $300 per month. Other bloggers estimate that 1-3% of monthly pageviews is a more accurate number. If you’re just getting started and you’d like to create an income-generating blog, you’ll need to accomplish these five tasks—and master them. 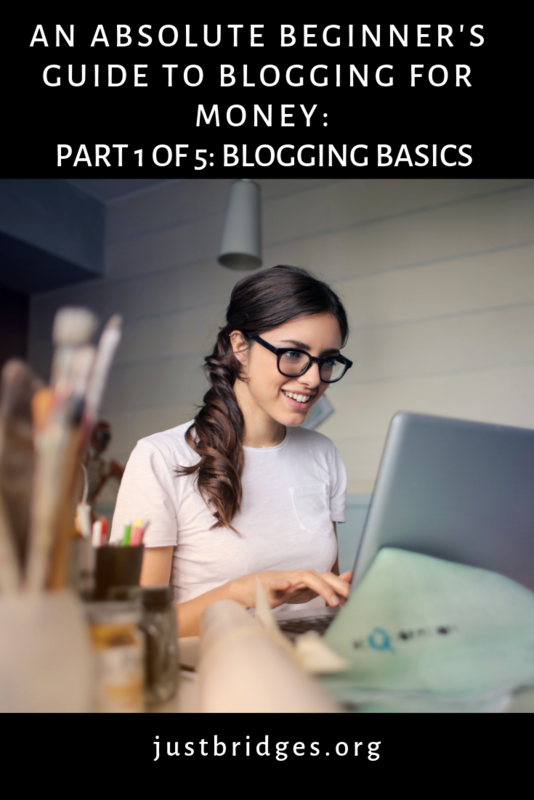 First, you need to create a solid, self-hosted, problem-solving blog with consistent, quality content in a profitable niche that solves your readers’ pain points. Whew! That was a mouthful. Second, you need to be intentional about generating income. This may include purchasing courses, completing hours of research, learning the ways most successful bloggers make money, etc. In general, you’ll be more successful in a shorter amount of time if you treat your blog like an actual business—which it is. Fourth, you’ll need to build a consistent, engaged follower base through networking, social media interaction, guest posting, regularly adding value, etc. Fifth, you’ll need to convert your follower base into paid customers by consistently solving your readers’ “pain points” or most pressing issues and concerns (or by generating so many pageviews that your advertising supports you). Here’s an excellent post about how bloggers make money. 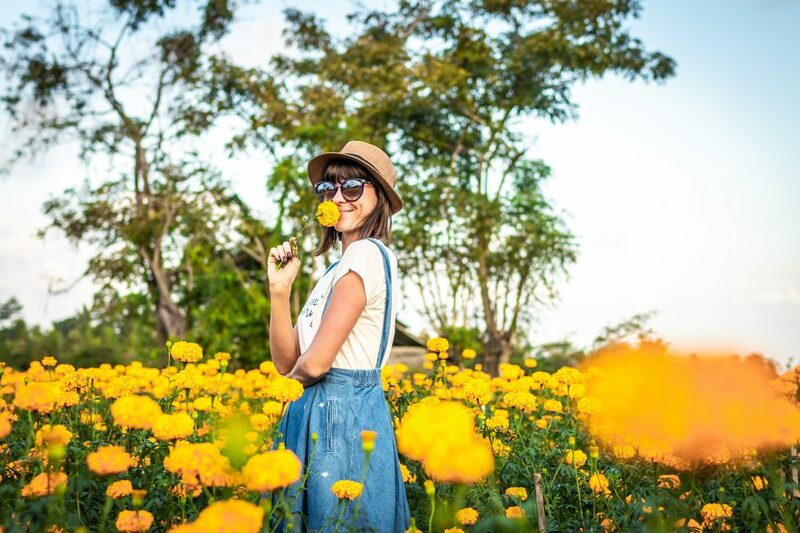 If you’re able to master these five elements—which I can tell you from experience are much, much, much easier said than done— you’ll be well on your way to earning at least some income. Over the course of the next five posts, we’ll take a much deeper dive into each of these areas. In this post, we’ll focus specifically on number one. How to create a solid, self-hosted, problem-solving blog with consistent, quality content in a profitable niche that solves your readers’ pain points. You can be a decent to exceptional writer—blog for years, and never make any money. This is more than possible because you may fail to ever learn how bloggers actually make money. More than that, you may fail to solve readers’ problems or fail to choose a profitable niche. If you want to create a solid blog with quality content, you need to be a pretty decent writer. This goes without saying, but it’s an important first step towards creating a profitable blog. To the extent you’re able, you should also know your purpose and mission for blogging. Can you write about your given theme consistently over the course of several years? Social media experts have gathered research on the characteristics of the most successful blogs and/or blog posts. Want to have a chance of ranking in Google? Write at least 2,500 words. Want social shares? Write between 600-1,500 words. Want comments? Write approximately 275 words. Posts that include infographics and multiple images fare better than posts that contain no pictures and large paragraphs of text. Towards this end, I create a schedule for researching, a schedule for writing, and I’ve charted out how long it generally takes me to create a 800- 1200 word post vs. a 1200-1800 word post. After researching appropriate keywords, I organize my posts around topics and themes based on series I’ve pre-planned or actually pre-written. For more resources on how to create consistent, quality content, check out this list of resources from ProBlogger. Next, you want to make sure your blog is self-hosted, which means you own your domain name. Self-hosting is a basic requirement because it allows you to customize and personalize your blog in a way that you can’t do with most free hosts. More than that, it allows you to add the necessary features (such as plugins, advertising, etc.) to let you start earning income from your blog—once you have enough subscribers and readers, of course. Some bloggers use iPage or HostGator for self-hosting. I use Siteground to host this blog Just Bridges Ventures, and I use BlueHost for my blog From Outrage to Reform. The following ad is an example of an affiliate link. If you use this link to purchase self-hosting through SiteGround, I may earn a small commission for the sale, at no extra cost to you. No pressure. For additional info about self-hosting, visit 15 (Very) FAQs on Starting a Self-Hosted Blog. You have to post consistently and maintain that level of consistency throughout the life of your blog (to the best of your ability). I’m horrible at this. Although I write every day, I don’t always finish the posts that I’ve started. Sometimes my ideas are great (I think! ), but I don’t have sufficient time to research the more subtle points. Most professional bloggers recommend that you choose the same day or days to post each week. As long as you’re consistent, the frequency may not matter as much if your readers know exactly when they’ll hear from you. Master marketer Neil Patel recently shared a video attesting to this phenomenon. In his post, he claims that when he first started out, he posted up to seven days a week every single week. Over time, he scaled back to only posting once each week on a set weekday. Surprisingly, his readership actually increased! You need to write in a profitable niche and solve readers’ pain points. When I started my first blog in 2015, I just wanted to write and share what I’d written. I wrote about anything and everything under the sun. Poetry, prose, essays, and random quotes I love. It was (and still is) all over the place. More than that, it’s not in a profitable niche. I write about race, power, and privilege. Yikes! Who wants to read about that, right? After you choose the right niche, it has to actually address the readers’ problems. It needs to consistently provide accurate information, viable solutions, etc. It’s not enough to merely write in one of the seven profitable niches. You need to also find a way to distinguish yourself from the herd. Consider this, although it’s impossible to determine the exact number of blogs that currently exist, there are at least more 350 million on Tumblr alone! How will you distinguish yourself from the crowd? A solid blog that’s self-hosted, that provides quality content in a consistent matter, that’s in a profitable niche and meets readers’ needs. You need to treat it like a business and decide when, where, and how you’ll secure the knowledge or team members to meet your goals efficiently and effectively. Towards this end, you’ll need to decide how much time and how much money you’re able to invest consistently. You’ll need to master SEO, keyword research, and advertising. You’ll need to build a network of engaged followers. Through the quality of your brand, content, and expertise, you’ll need to convert your subscribers into paid customers. Blogger Ruth Soukup claims that the tipping point for earning at least $50K annually from blogging is at least 300,000 pageviews per month. For solid part-time earnings, 25,000 to 50,000 monthly pageviews should yield at least $10,000 to $15,000 annually. Next time, we’ll go into much greater depth about point number 2.